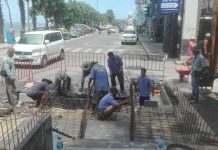 People near Jomtien’s Rompoh Market are complaining about tilted light poles they fear will topple on them. 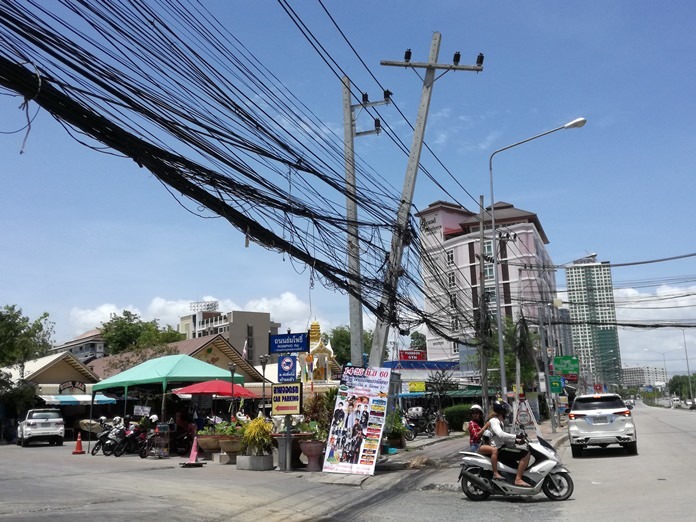 Several in the area are leaning perilously, a situation made more hazardous by hanging utility wires on the streets adjacent to the market. Residents said the poles and wires have been drooping for year, but no one from city hall has answered calls to fix them. Of the three tilted poles, one is being supported by a pillar. Residents fear that at any time they could be killed when one of the posts falls.